Pro Bono/Gratis. It is a fancy term for "we don't get paid". In other words, we are an all-volunteer crew. It's our way of paying it forward. All of our carefully vetted crew members are composed of dedicated journalists, photographers, film makers, artists and humanitarians who are passionate about sharing the stories no one else will tell. They donate their expertise and pay for their travel expenses in order to participate on a project. It's what they do best and want to pay it forward. Click on licks below to learn more about our field production specs and past crew information. Debi Lang is president and founder of Caring For The World Films. She is an award-winning photojournalist with nearly three decades of experience in the film and broadcast industry. Lang has worked in varying roles for a number of media companies including FOX, NBC, ABC, CBS, and Telemundo as well as a host of production companies. Her background includes all aspects of video and film production including 3 tours as a photojournalist covering the Iraq War, which earned a regional Edward R. Murrow Award for News Documentary. 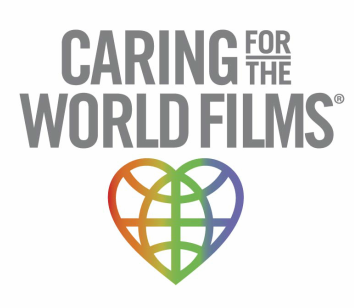 In 2007, Debi founded Caring For The World Films and in 2009 it became a 501 (c) (3) non-profit organization. Her unique investigative film making approach has earned her twenty-five international awards and film festival invites for documentary projects profiling Cape CARES, Teachers For A Better Belize, Himalayan Healthcare and Nyaka AIDS Orphans Project. She is in post-production on her latest commissioned film Pathbreakers based in Uganda. Jan Köhler is an award-winning photographer and filmmaker. 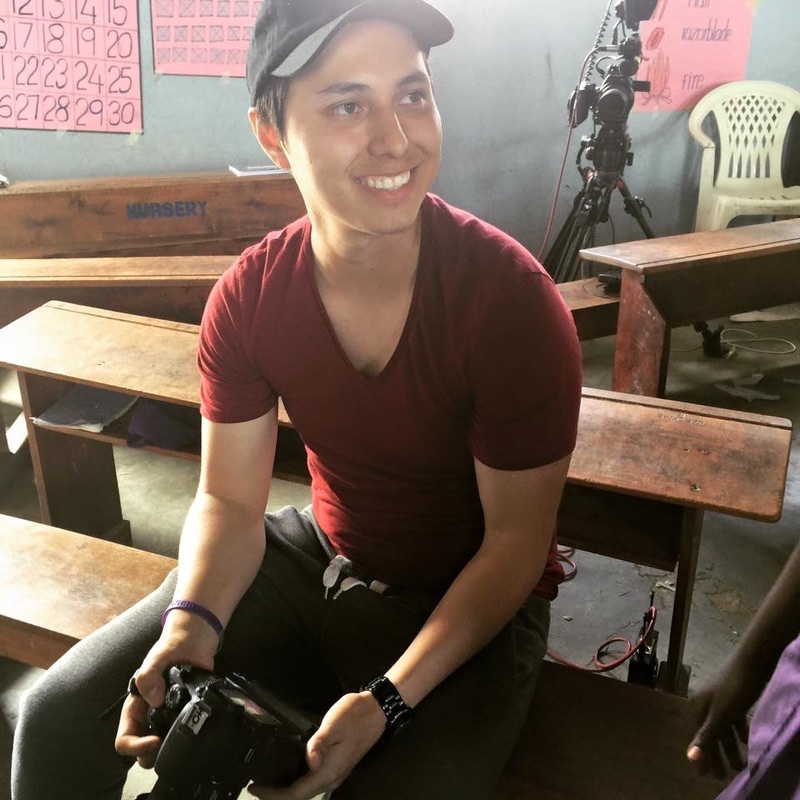 As a teenager, he was inspired to become a photographer after observing the the production of the CFTWF Cape CARES documentary series in Honduras. He considers Director Debi Lang a mentor. Coming from a family of humanitarians, Jan is passionate about about capturing authentic stories, which profile the less fortunate in a dignified manner. He recently interviewed the former president of Honduras. Jan continues his studies in Media Production/ Interactive Design at Royal Academy Of Art, The Hague. He received a best Cinematography Award for his work on CORNERSTONE at The African Film Festival in 2017. Emily completed her studies at the United World Atlantic College in South Wales earning the International Baccalaureate diploma. She comes from a family of humanitarians and spent time in Nepal working with Himalayan Healthcare. In 2012, Emily volunteered as a boom and Go Pro operator for Caring For The World Films during the filming in Nepal of “Hearts In The Himalayas”. She attends Brown University. Dylan attends Belmont University in Nashville, TN where he is studying audio engineering and video production. His primary interest is in sound design, but his goal is to design a more effective aerial cinematography unit (drone). Dylan is proud of his production work for Somete and rider Nick Jones, musicians Matthew Holten and Don Soldi. Anna is a student at University College London with hopes to pursue a degree in immigration law. She and her family are deeply embedded in international humanitarian efforts. 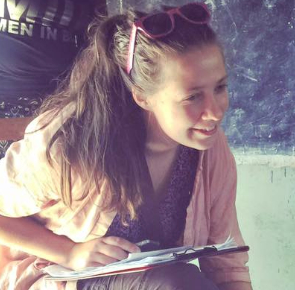 Anna carries a deep interest in the impact HIV/AIDS has on communities after spending twelve months volunteering at an HIV clinic in a small rural village in South Africa. Tim Werner is a well respected broadcast television video finishing editor and colorist whose career spans over thirty years. He received a national Emmy nomination for editing the critically acclaimed "Wishbone" television series for Big Feats Entertainment, which still airs on PBS. He also was an online editor and colorist for Hit Entertainment on the series "Barney and Friends". In addition to program editing and grading Tim's background includes national and regional commercials, music videos, and high-end industrial and medical videos for many companies including Lockheed Martin, EDS, LTV, Texas Instruments, Verizon, RCA, Zenith, Mary Kay and IBM. Tim was one of the first editor/colorists to edit and grade high definition imagery for HD Vision in 1998. Many of his projects were on display at the CES and NAB conventions from 1999 through 2003. He has been a member of The Academy of Television Arts and Sciences "The Television Academy" since 1998. Tim currently works for The Daystar Television network where he grades "Gospel Music Showcase", "Reflections", Daystar program specials, music videos and promos.